The police have arrested a member of the gang that allegedly robbed and killed an hotelier and her manager. The nabbed suspect has opened up on how the evil act happened. 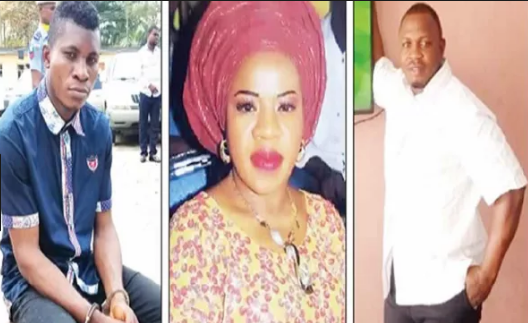 Olusola Olusoga, who owned Etashol Hotels and Suites in Ojodu, Lagos, and the manager, Tunji Omikunle, were strangled on January 25 at the hotel. 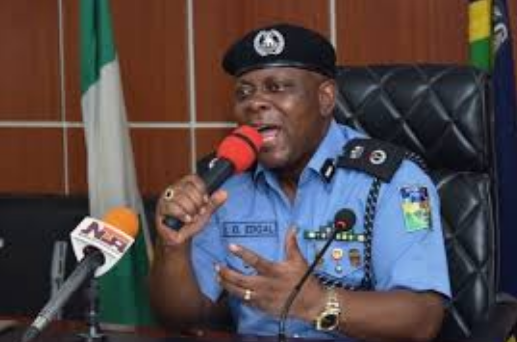 Outgoing Lagos police Commissioner Imohimi Edgal at the command headquarters in Ikeja yesterday, said the suspect, Ehizojie Vincent, carried out the act with others at large. He said the Closed-Circuit Television (CCTV) footage available to the police showed the role played by each of the suspects. The plan to rob the late hotelier, he said, was hatched by Vincent and four other workers of the hotel. The others are Henry Lolo, Okechi Light Ezi, Dubai and Dangote. Vincent was arrested in Port Harcourt, Rivers State, where he fled to after the dastardly act. “We all agreed that we had no future in the company because we believed our employers were miserly,” he said. He said they resolved to rob the late hotelier of her local and foreign currency, being a London returnee. To have a hitch-free operation, Vincent said they chose Lolo, to prepare Indomie noodle, laced with a sleep inducing stimulant called SK, to be served for the workers. “Our plan worked, as we successfully sent the other workers to sleep, except the late manager, who was already asleep before he could be served with the drugged meal,” he added. Edgal said the suspects’ attempt to steal the key to the late hotelier’s bedroom from the late manager’s pocket failed, as he woke up and struggled with them at the reception. The manager, he said, was strangled during the scuffle, adding that after strangling him, they searched his pocket, but couldn’t find the key. They then went upstairs to the late hotelier’s room and forced the door open. The police boss said they met the woman in the room and bound her hands and legs. “By the time they were through, the woman had died. The suspects stole her N50,000, jewellery and other personal effects, but could not take them out of the hotel for fear of being challenged by the police team stationed close to the hotel. So they abandoned the loot in the hotel, which have been recovered,” Edgal said. He said efforts were on to arrest the fleeing suspects.